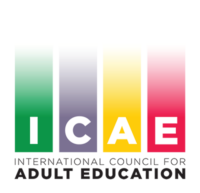 The ICAE Academy of Lifelong Learning Advocacy (IALLA) is an international course held for the first time in 2004, in Norway. Since then, a total of six editions have taken place in Africa, Europe and Latin America; in 2012 the first advanced, second stage IALLA was held. This year, its seventh edition was organized, for the first time, in the Arab Region. Until now, there are 189 IALLA graduates from 68 different countries. To give emerging leaders in adult learning and education (ALE) and social movements, the opportunity to acquire the skills to advocate for the right to adult learning and education and to consolidate ICAE as a global network committed to that end. 1. To generate a broader vision on youth and adult education within the framework of human rights and active citizenship, developing linkages with the most important issues of the current global context. 2. To support the emergence of a new leadership able to learn from diversity and to do networking, so as to secure the regeneration of ICAE, in particular, and of the education movement in general. 3. Increase participants’ abilities to advocate and network for inclusive education, lifelong learning and issues of relevant concern in their organizations and fields of work. 4. To follow-up and facilitate the exchange among participants to promote the continuity of the learning process by sharing their own experience after IALLA course. The definition of the contents take into account the new learning needs emerging from the current global context. At a time in which the current globalization model is characterized by uncertainties, a contribution of the course is to enable participants to better understand the complexities and their impact and to develop their capacities in building inclusive solutions through different and creative perspectives. The course presents networking as a suitable mechanism for collective learning. International teamwork allows for the recognition of differences and the generation of synergies among different visions and skills. It also has the capacity to generate new solutions and the subsequent advocacy to promote change in the public policies at all levels. The course promotes a dynamic and proactive attitude of the participants; and taking into account the unprecedented global changes, the course highlights the challenge that there are no unique answers, instead, there is an urgent need to creatively engage in different forms of lifelong learning and advocacy. The course is structured to provide a coherent learning process. The curriculum covers a range of core and solid contents and tools, teamwork, and the analysis of practical experiences and innovative projects. The course applies a participatory methodology whereby participants are encouraged to be active and dynamic, making contributions in the sessions and in group work. These sessions, combined with lectures and open debates led by a group of experienced and high-level experts from different regions, will train participants to work as a professional global team. – Economic, Social, Cultural and Environmental Rights. Education as a human right. – Discussion of the concept of adult education, lifelong learning. – Discussion of the concept of civil society and state. – Origins of the concept of citizenship and active citizenship. – Education for democracy and sustainable development. – Popular education and education for inclusion. – History of the Global Movements. – World Social Forum and new social movements. – The action of civil society as an educational process. – The Post 2015 development agenda, MDGs, EFA and CONFINTEA. – Rio+20 process: education for sustainability. The education we need for the world we want. – Creative participation and strategies for advocacy. Intersecting agendas. This international course was held for the first time in 2004, and since then, a total of seven editions have taken place in different regions; and in 2012 the first advanced, second stage IALLA was held. Until now, there are 189 IALLA graduates from 68 different countries.